The good news for New Yorkers that hold valid foreign driver licenses is that, with them, you’re legally allowed to operate a vehicle in New York without any kind of supervision. There are no restrictions to where you can operate a vehicle, except for restricted areas and DMV test areas, so you’re totally in your right to legally use a car to get around town or to and from work. However, it’s worth noting that if your license is in a language other than English, you must also possess an International Driving Permit or translation of your license. 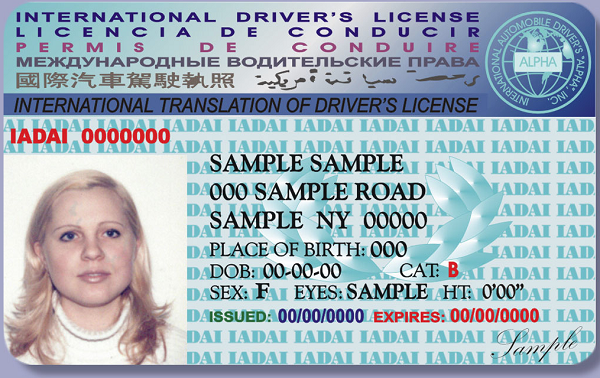 According to the New York Department of Motor Vehicles, this translation must be certified by an official U.S. Agency, such as the Department of State, and include information such as name, birth date, foreign license expiration date and vehicles you’re permitted to drive with the license. Depending on the country your license was issued in, it can be a little bit of work to get everything properly squared away, but with a little bit of effort, it’s not too much of a hassle. Say you’re new to the country and only have a learner permit. If you don’t also have a valid foreign license, you’re not legally allowed to operate any vehicle without supervision. A qualified supervising individual must be at least 21 years old and have a valid license. What if You Want to Get a New York Driver License? The good news about earning a New York driver license is that you don’t need to become a U.S. citizen to do it. All you need is documentation from the U.S. Department of Homeland Security that proves you’re a legal citizen of a foreign country. Any legal status determined by Homeland Security will then be transferred over to your New York permit or license. As we’ll cover in the next section, if you plan to be in New York for the long term, we’d advise you take the steps to get a state driver license. Certainly, if you plan to spend any significant amount of time in New York, it would behoove you to go through the process to acquire a New York driver license. This is beneficial for both you and the state, as it eliminates a lot of the obstacles that residents need to go through when driving with a foreign license. But for those who are new to the country and who are concerned with how they’re going to get around once they’re settled in New York, it can offer some peace of mind to know that they’re not breaking any laws to drive with a valid license that’s been issued by another country. We cover this information and more in our NY defensive driving courses. New Year’s Resolution – Visit These Towns in the U.S.